I admit that my most favorite flavor is chocolate when it comes to icecreams but I do enjoy such seasonal flavors too. It was exciting to make icecream at home and I enjoyed the entire process. Hope you all remember my strawberry icecream which was made with custard powder too. The challenging part was to click pics of the melting icecream. Oh my god! I really wonder why I choose to do the photoshoot at 12pm this day!! ;) Somehow managed to capture decent photographs. Take few spoons of milk(from the 1 cup of milk) in a small bowl and dissolve the custard powder in it. Add sugar to the remaining milk and allow it to boil. Simmer the stove and add the custard powder mixture while stirring it continuously. Once it starts thickening, remove from flame and allow it to come to room temperature. Peel and chop mangoes roughly. Blend the pieces to make puree. Add 1/2 cup of milk along with it and blend again. Now add the above prepared custard and blend well. Transfer to a freezer proof box and chill it in the freezer for atleast 3 hours. Then remove from freezer and blend it again in the mixie. Repeat this process after every one hour for 3 times. Once the custard is ready, keep stirring it until it comes to room temperature. Don't allow it to set hard. 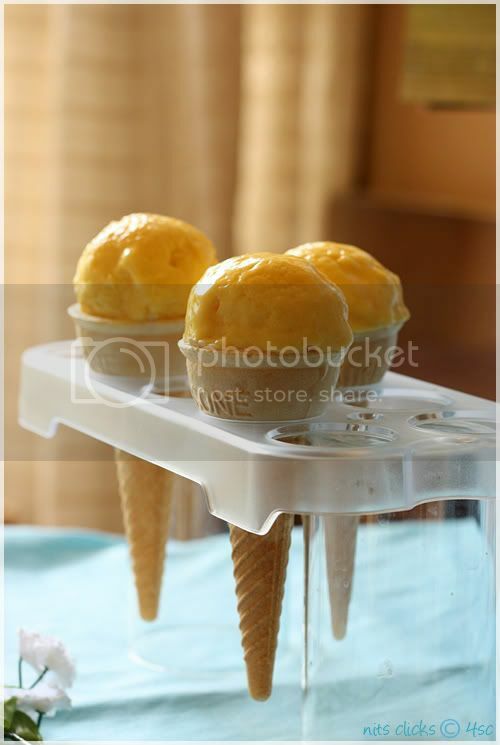 This will help in making the texture of the icecream smooth and creamy. Use mangoes that are not too fibrous. 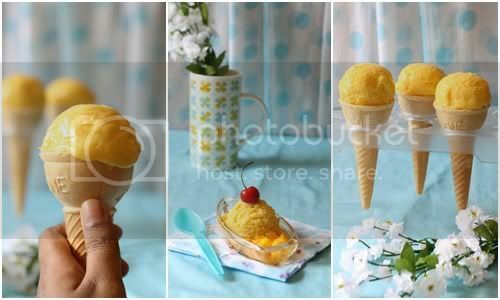 I choose alphonso mangoes for making this icecream. You can add some nuts on top to make it exotic. Grate some dried mango bar(Naturo mango bar) on top of the scoop for garnishing. Are you kidding me? Pics have come awesome..lovely contrast and brings out the colors very well! 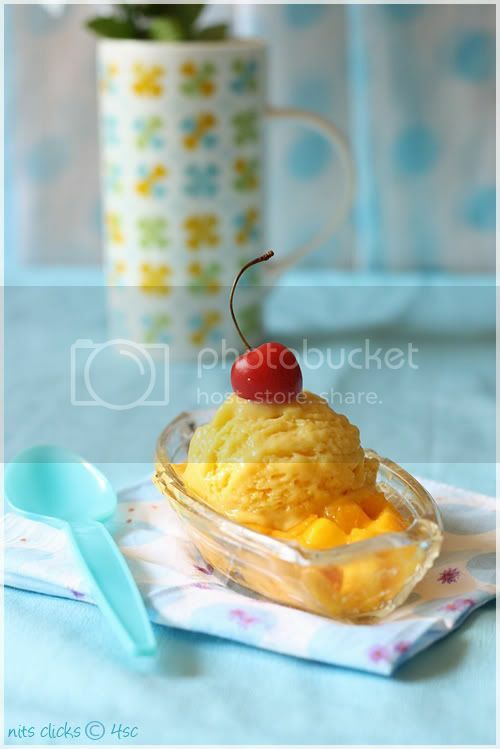 its super hot day ice cream is a treat to eyes...like ice cream on of fresh mango in the bowl....yum! 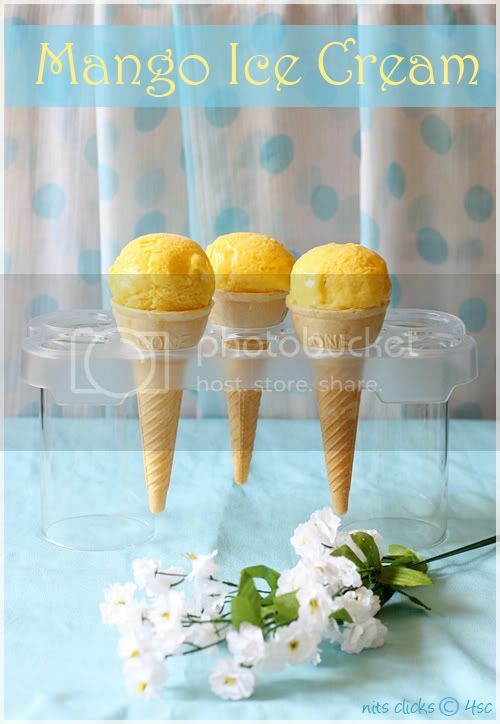 awesome for this hot chennai climate..
Wow looks too good,cool clicks too,makes me crave for some icecream! Keep your spirit on dear. 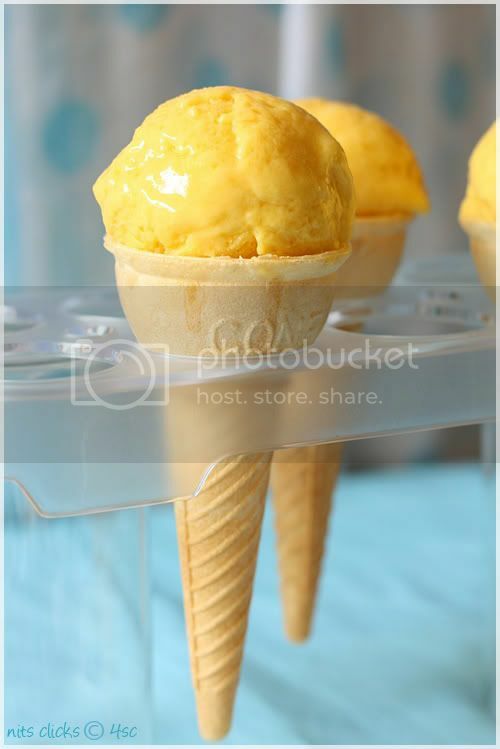 Such an easy recipe for this exotic icecream! Love it! Easy one.. lovely clicks.. that makes go get an icecream rgt now..
OMG ! 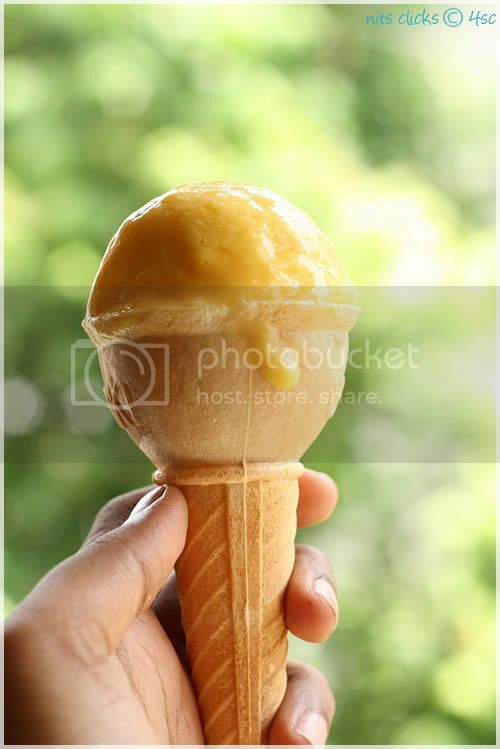 What a delicious looking ice cream. This is sheer bliss. 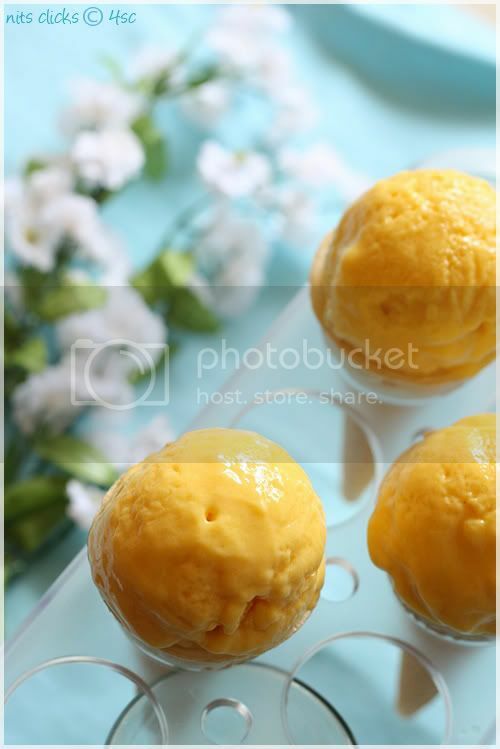 Its such a visual treat visiting your blog...looks very enticing..
Feel like relishing that irresistible mango icecream, yummm! wow, amazing series goin on. Love all your mango mood recipes. drooling here nithya..perfect for season! 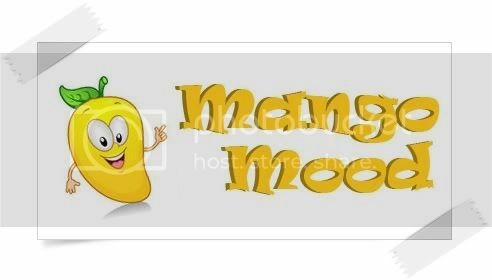 great clicks too..
Yum yum--I had my fair share of Mangoes this season too.Good choice of Mango dishes for the Mango Mood--great job! 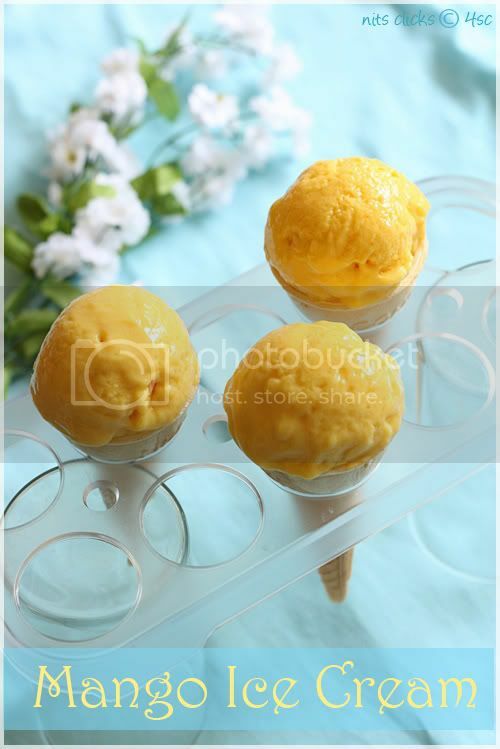 Nits, your mango mood is so sooo infectious...m truly gonna miss your mango recipes. You know can't believe that you shot at noon and the pics turned out this good... I know how challenging it is to shoot frozen treats. Great job and gorgeous images, as usual! Love the presentation you gave with the cherry on top :) I love mangoes and this looks delicious. wow...so tempting icecream..perfect for the season.. Loved all the recipes in the mango series. You are uber-cool Nithi. It is a visual treat no doubt abt that.